While we look forward to whipping up some delicious smoothies, we have also been thinking of ways to make use of the summer sun. And, then, dad came up with a brilliant idea. Raisins!! When the price of grapes had gone down last month, we bought bags and bags of that stuff. 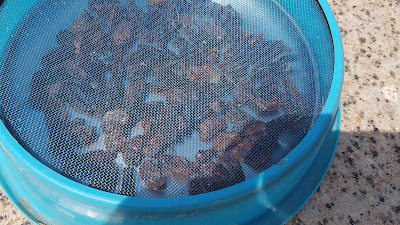 Dad suggested we sun-dry some, to make raisins. I was quite cynical, of course, about the whole thing. Would it work? Anyhow, they were washed and cleaned, and we spread them out on plates covered with a thin muslin cloth, and put them out to dry. Two weeks later, I was amazed to find that it worked! 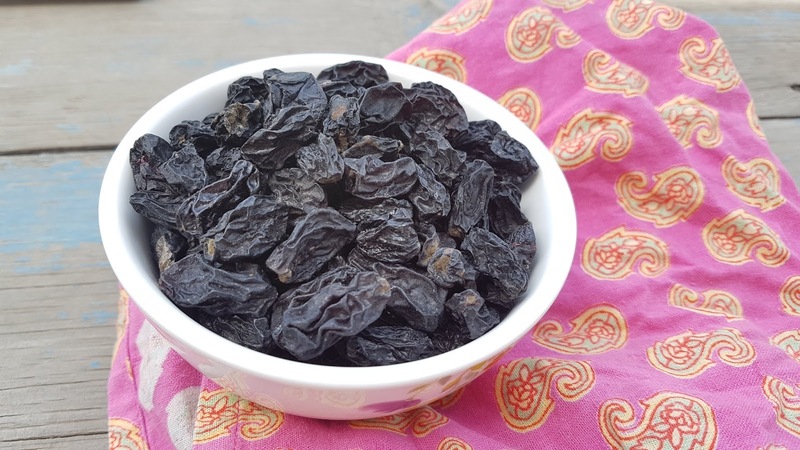 Now, we have our own homemade, sugar-free, delicious black raisins! And, guess what, I just bottled the first jar. These raisins are dark, and wrinkly, slightly chewy and sweet, with just a hint of tang. Delicious to snack on as is, or in oats or with pancakes or anything else! As the sun gets stronger, dehydrating fruit will be a piece of cake. The plan is to make more raisins - the green ones are out in sun presently, followed by sun-dried tomatoes (in olive oil). Wash and clean grapes of your choice. You can do this with any kind - black, green, seedless or any other variety. 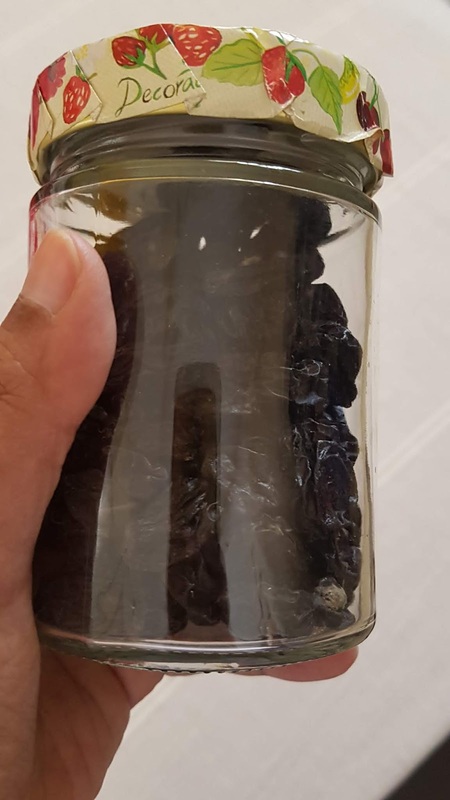 Just remember if you dry a full plate of grapes, you will probably end up with one small jar because the grapes will shrink as they dry out. Spread out in a single layer on a plate. Cover with a clean cloth or a net mesh, and keep out in the sun. Hello there! Thank you for stopping at Piquant Punch. I am Arpita and I live in Delhi with my husband, Len, and our dog, Cheeku. This blog is an attempt to document my fun experiments in the kitchen, and making good food that is tasty and healthy.